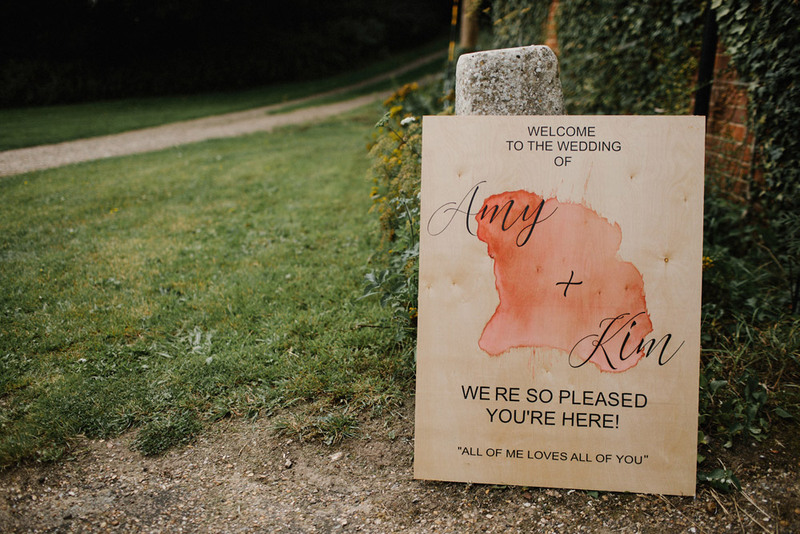 Amy and Kim got married Orwell View Barns. 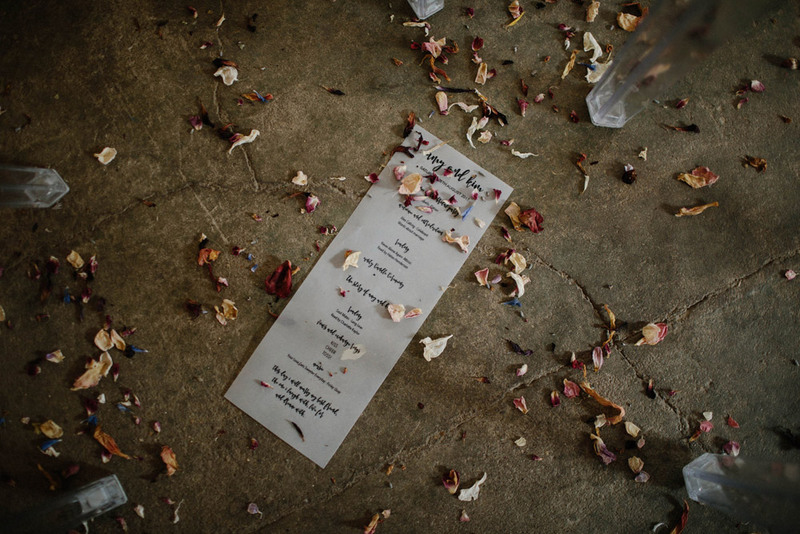  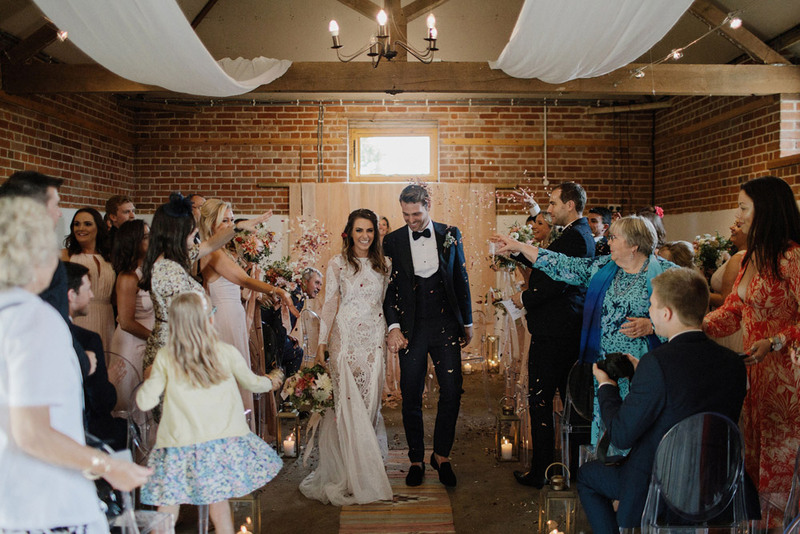 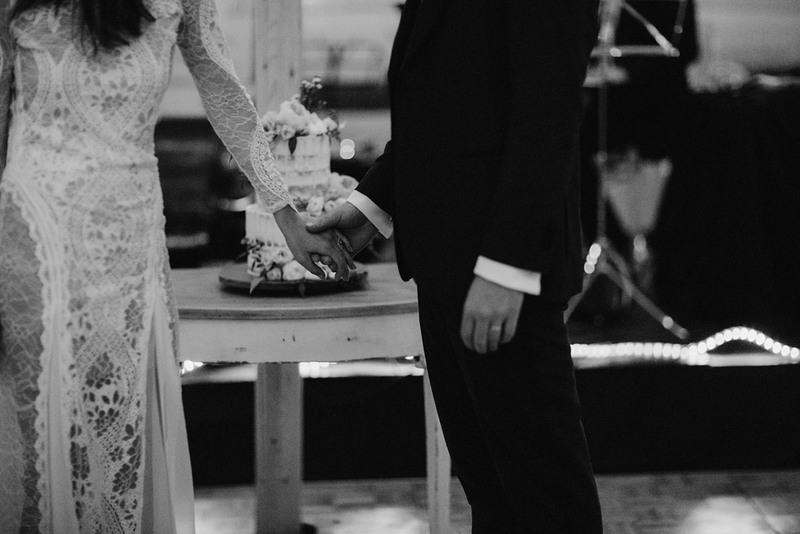 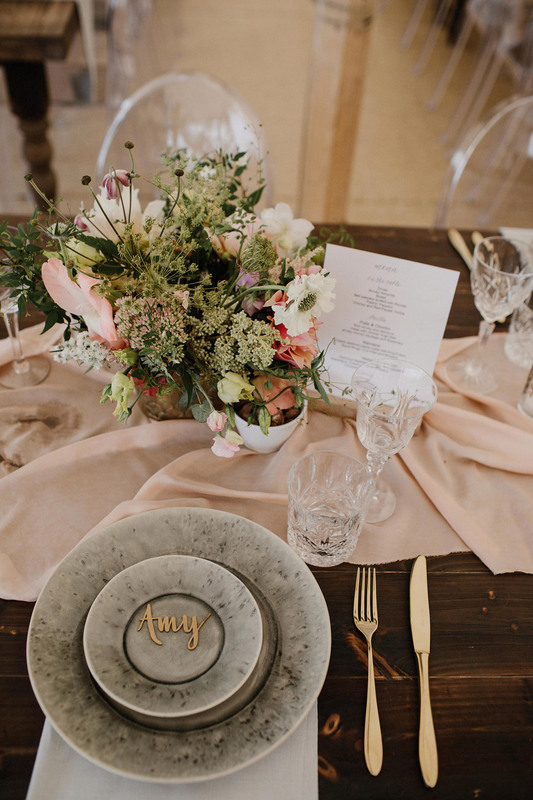 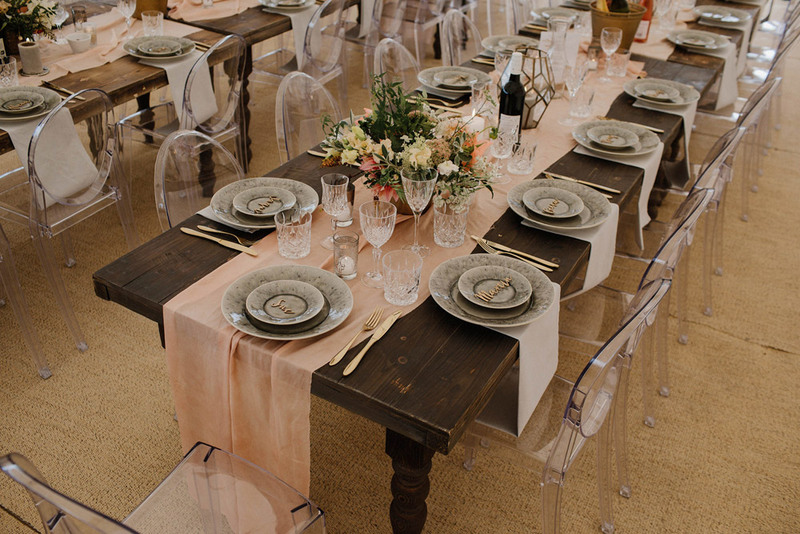 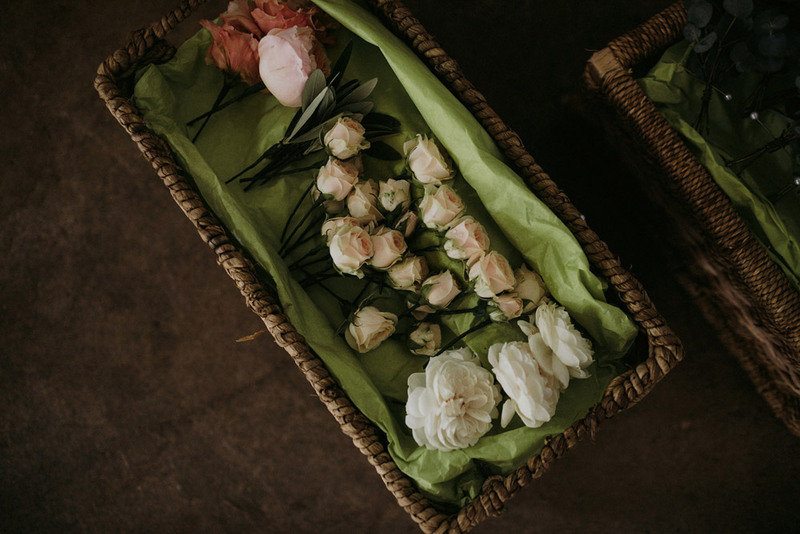 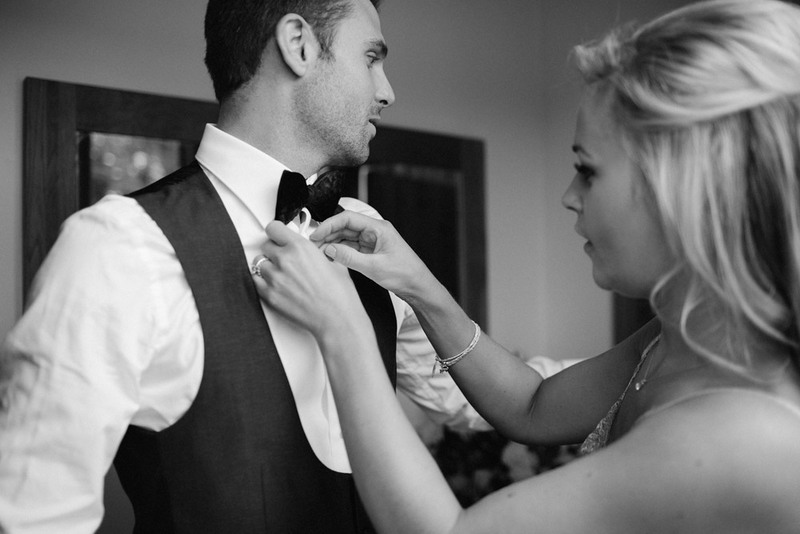 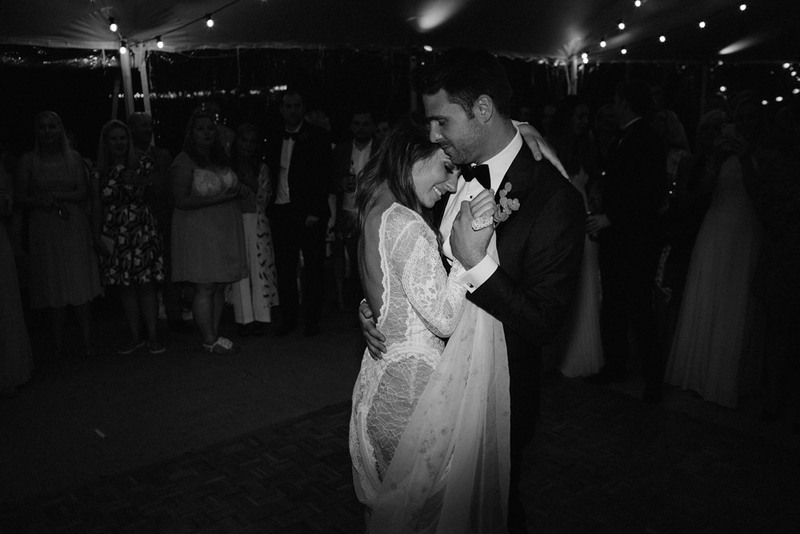 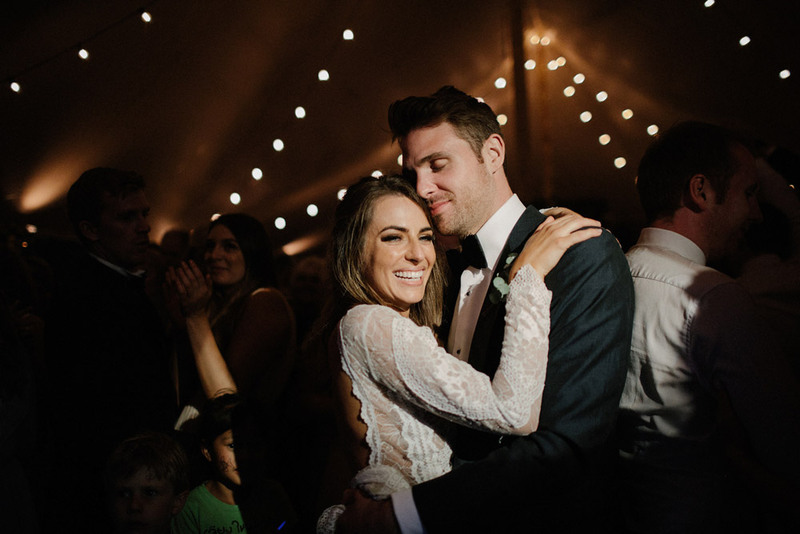 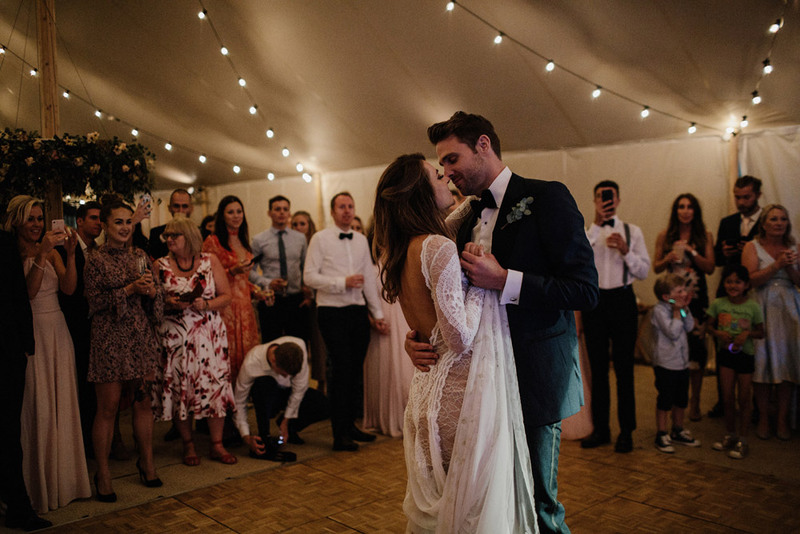 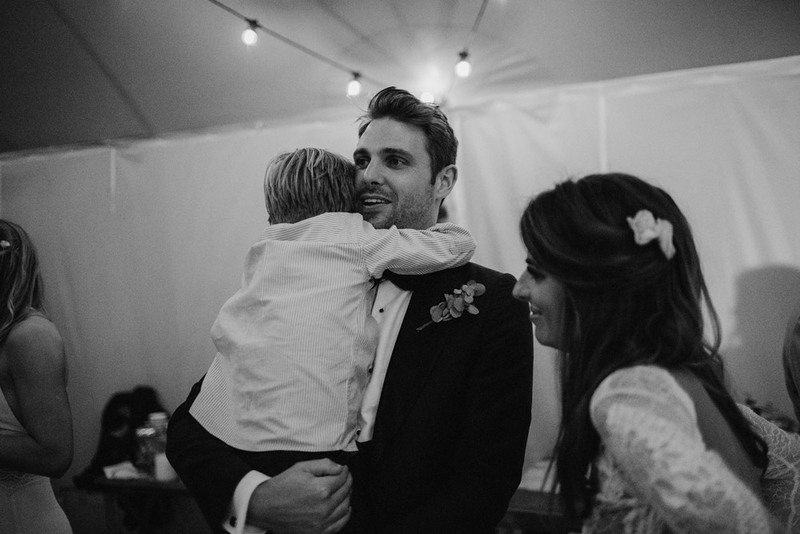 The wedding was a creative, romantic and a touch boho. 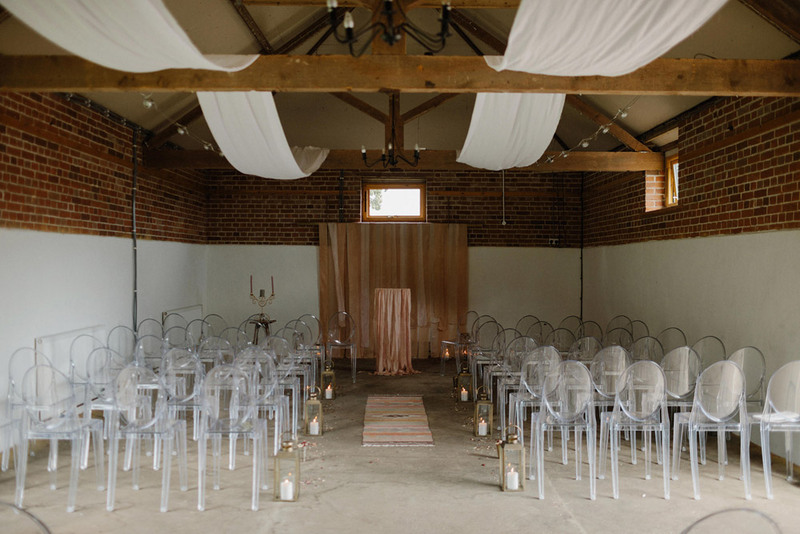 They organised a relaxed humanist ceremony for which they wrote their own vows and had lots of DIY elements. 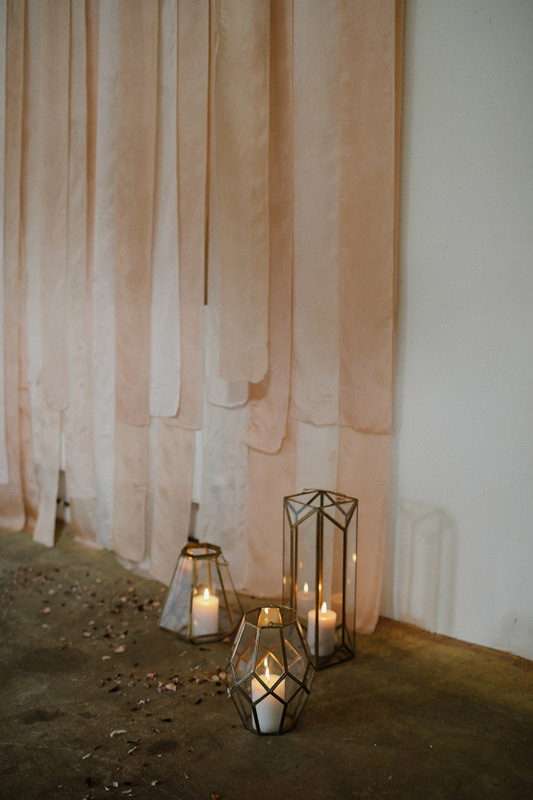 The groom, a bespoke joiner, helped to make a bar and together they also been collecting avocado skins from people for months and making a natural dye ( it comes out pink) and dyed over 50m of silk for table runners and backdrops and flags! 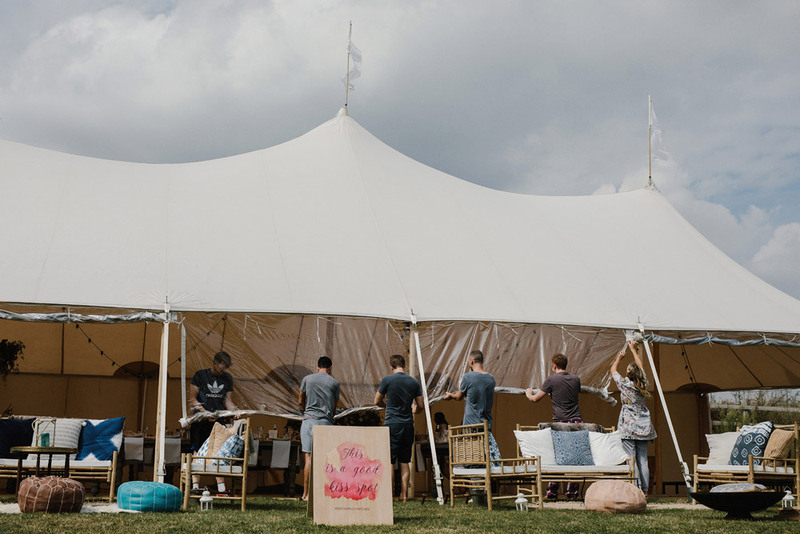 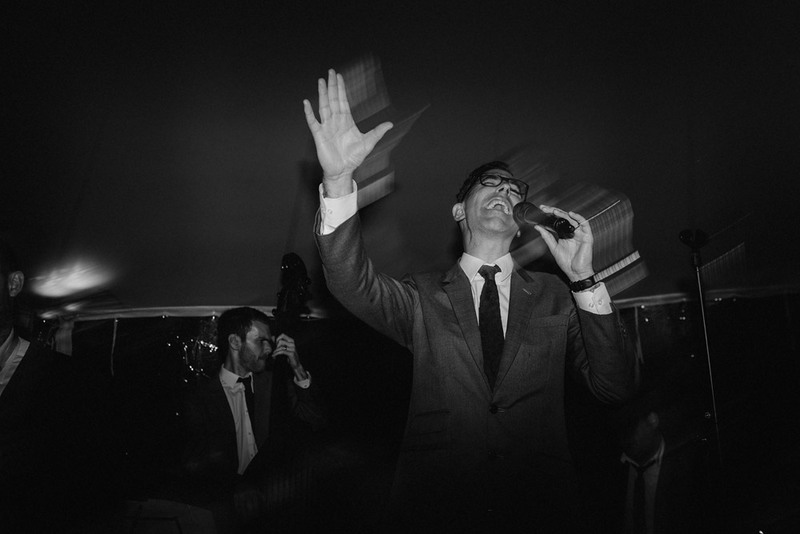 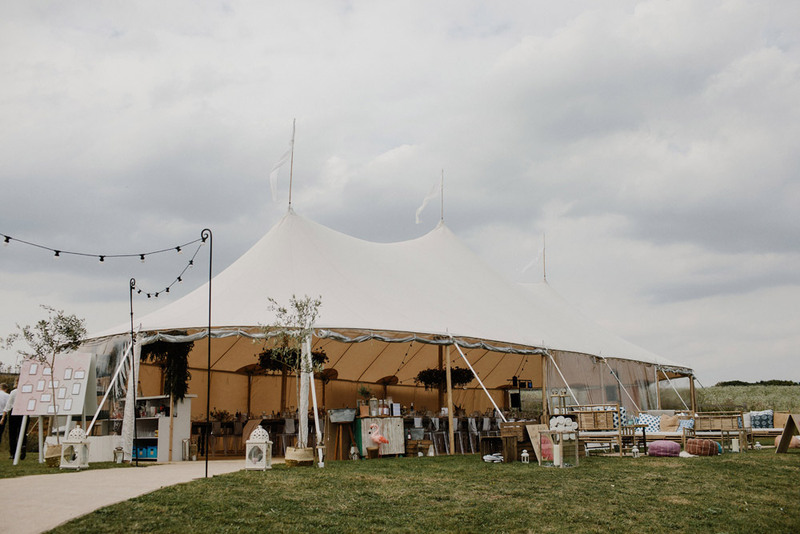 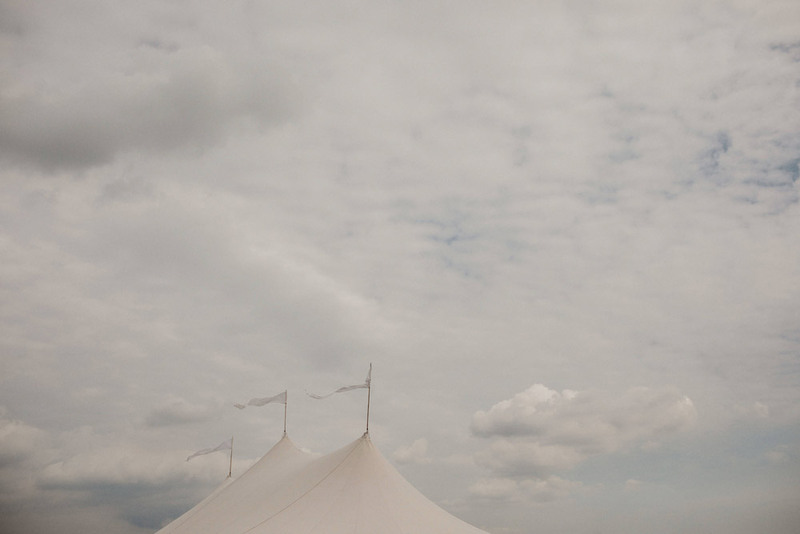 They hired a sperry tent marquee from Papakata, to have something a little bit different to a traditional marquee. 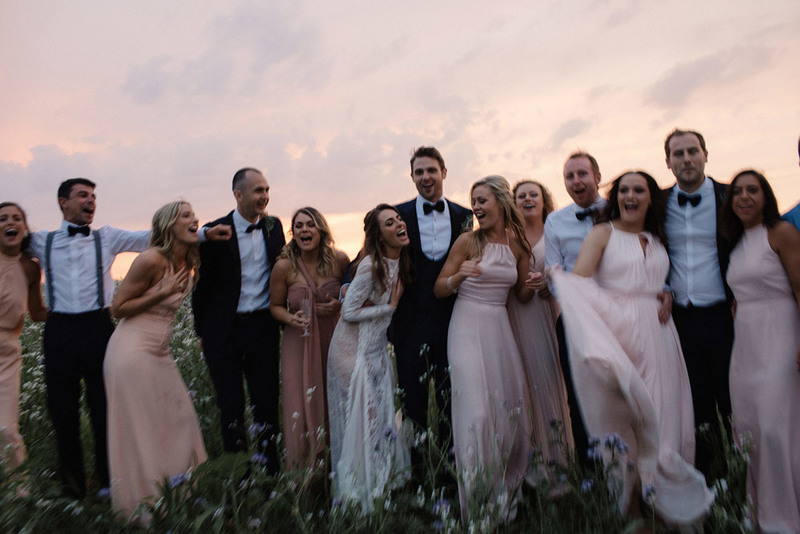 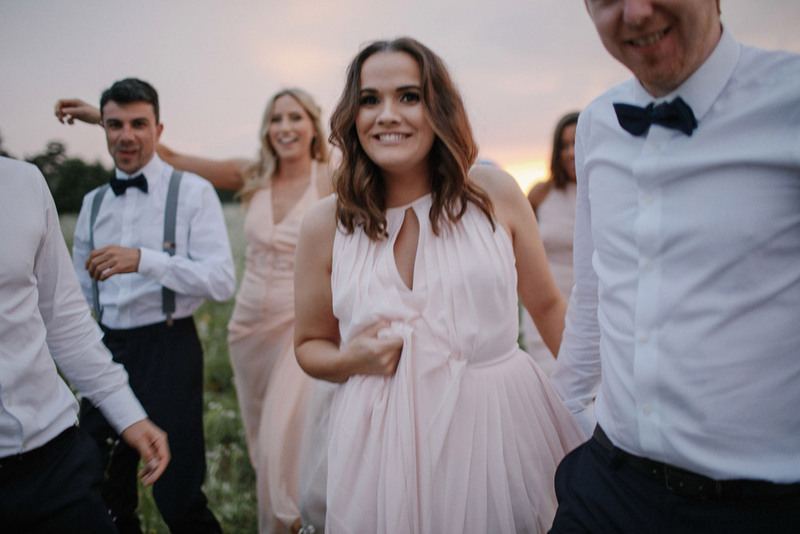 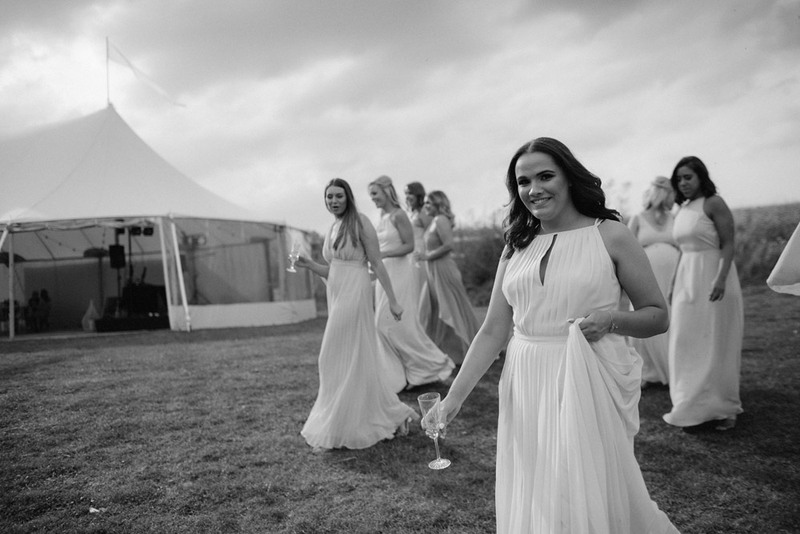 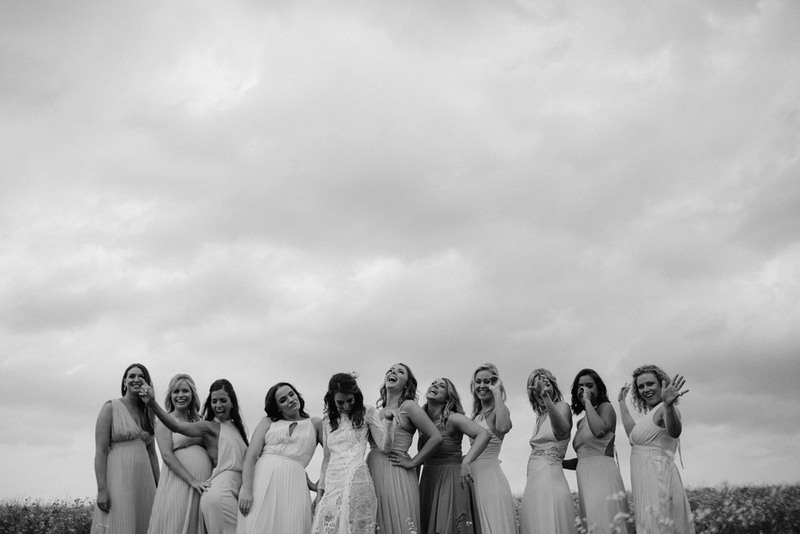 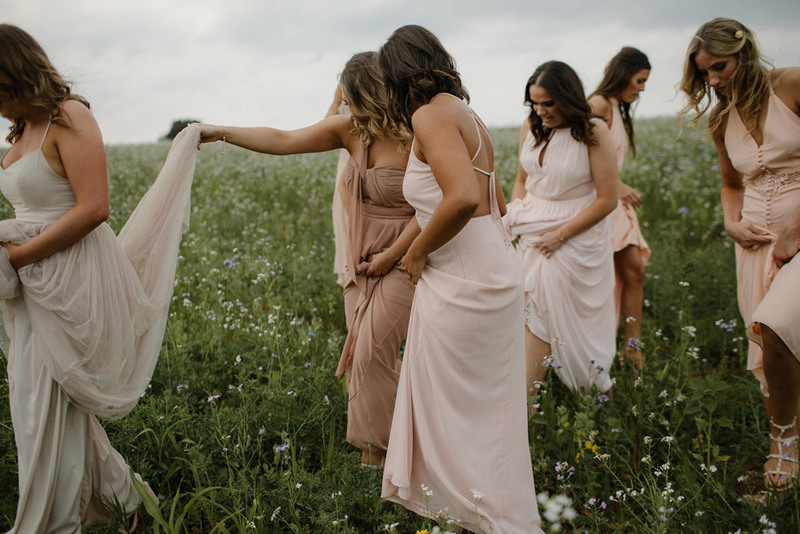 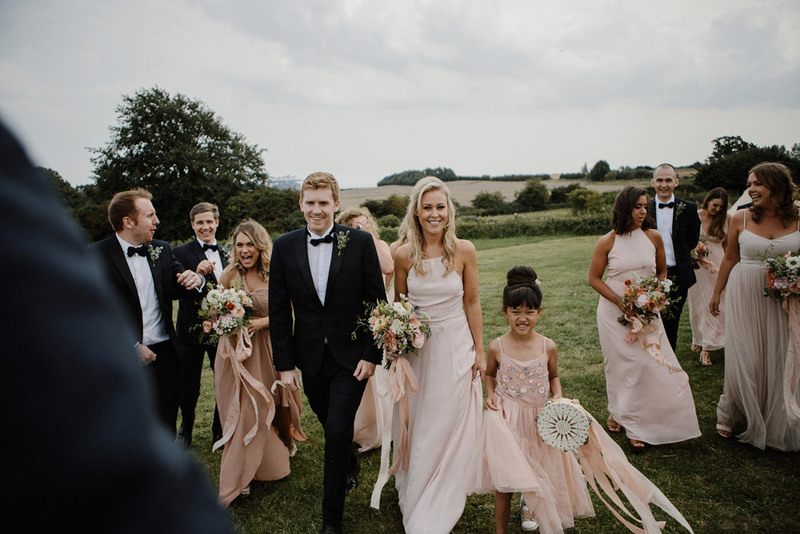 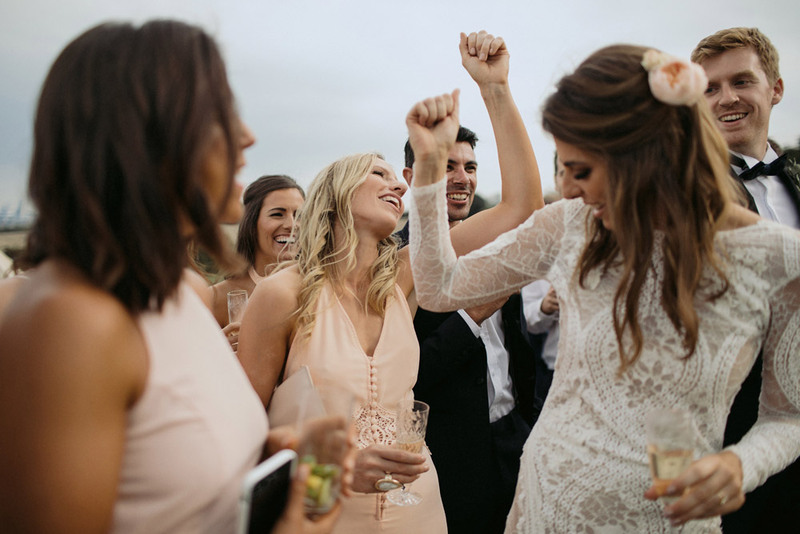 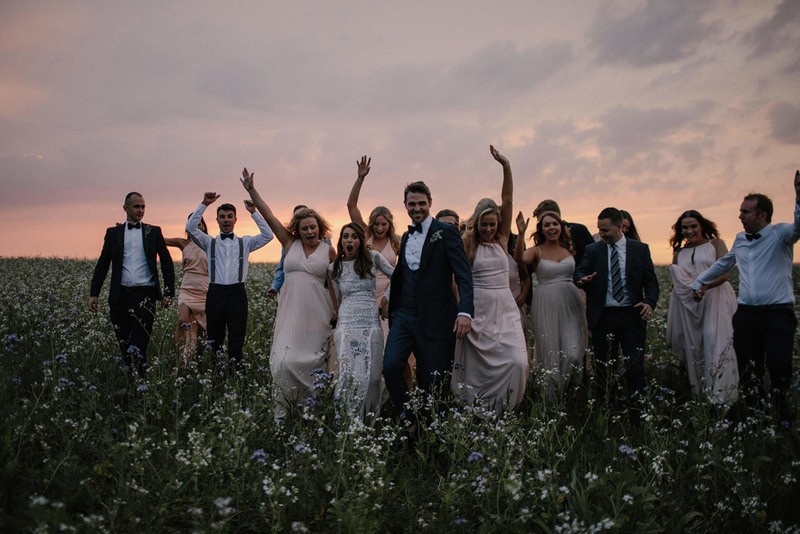 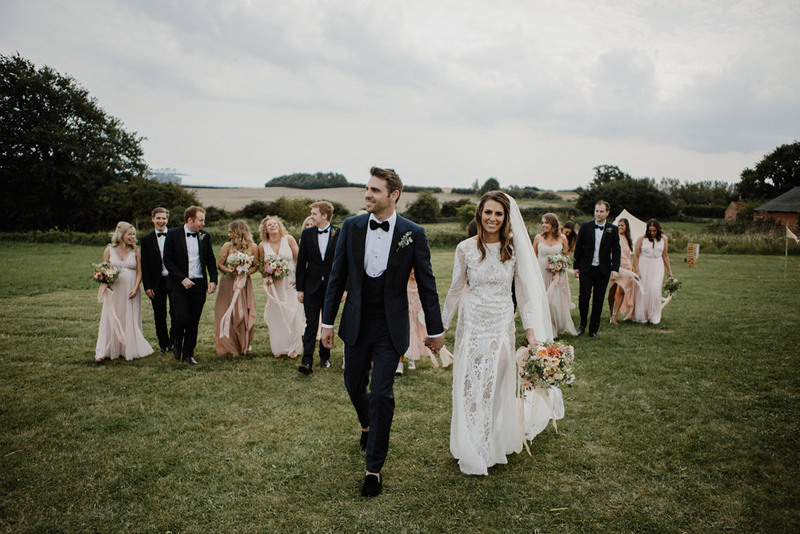 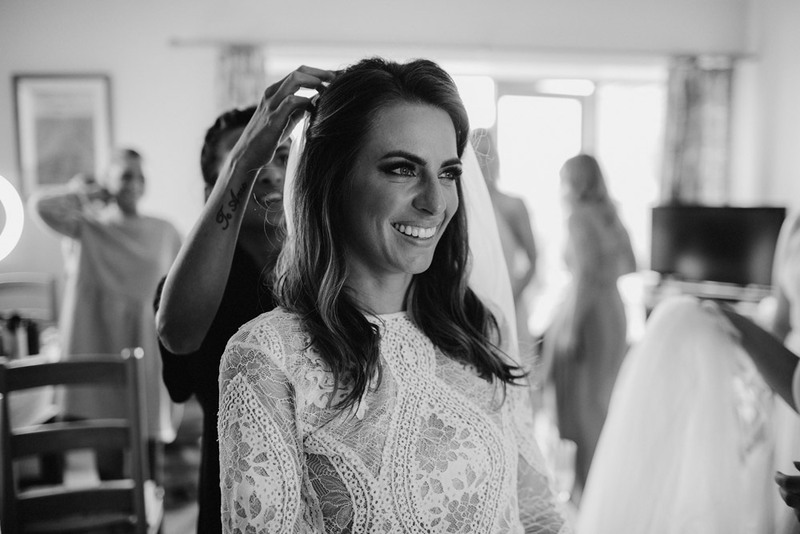 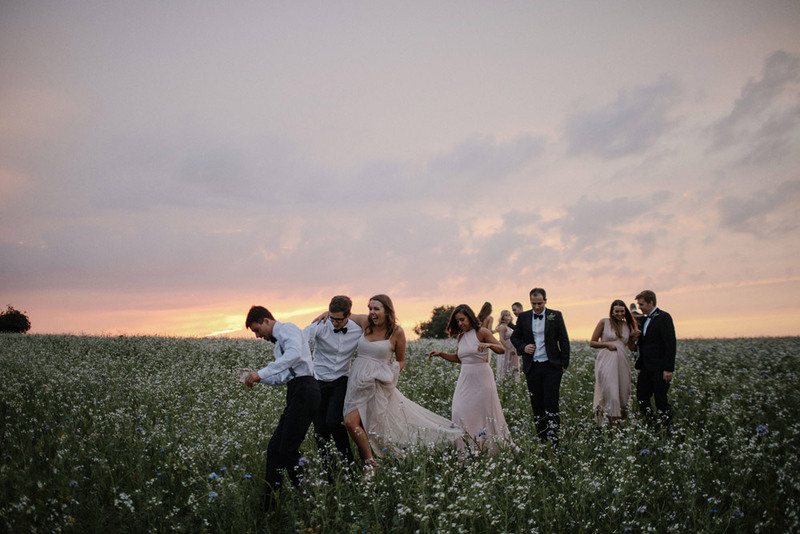 Amy was a very cool bride wearing the amazing Inca dress from Grace Loves Lace and her bridesmaids were all in in different dresses of peaches, nudes and light pinks tones. 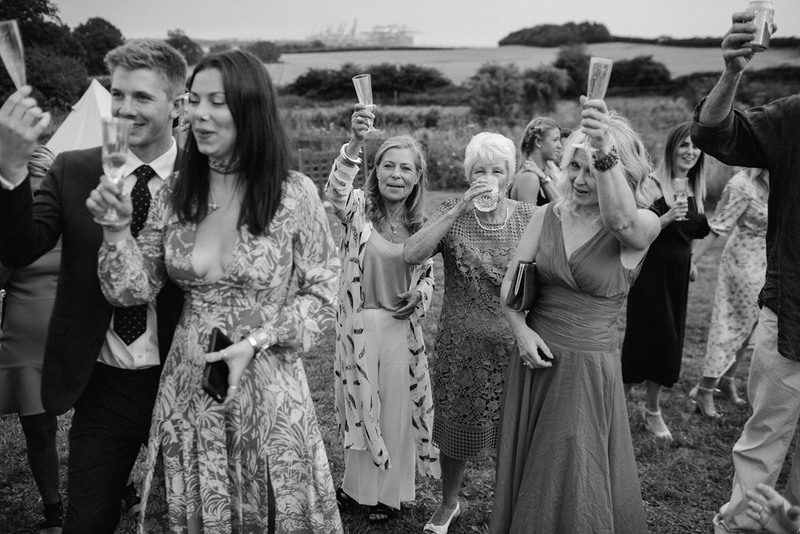 There was definitely a wonderful friendship between Amy and Kim and all their friends and it shines through their images. 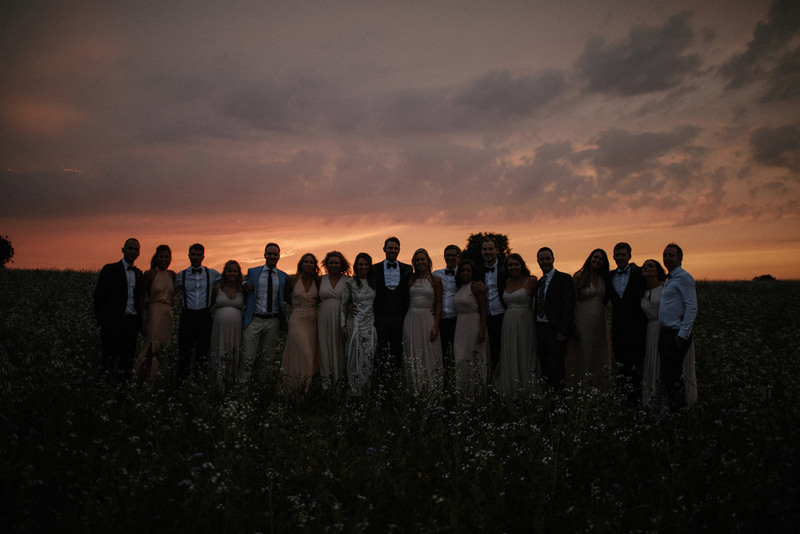 A beautiful day with a magical sunset. 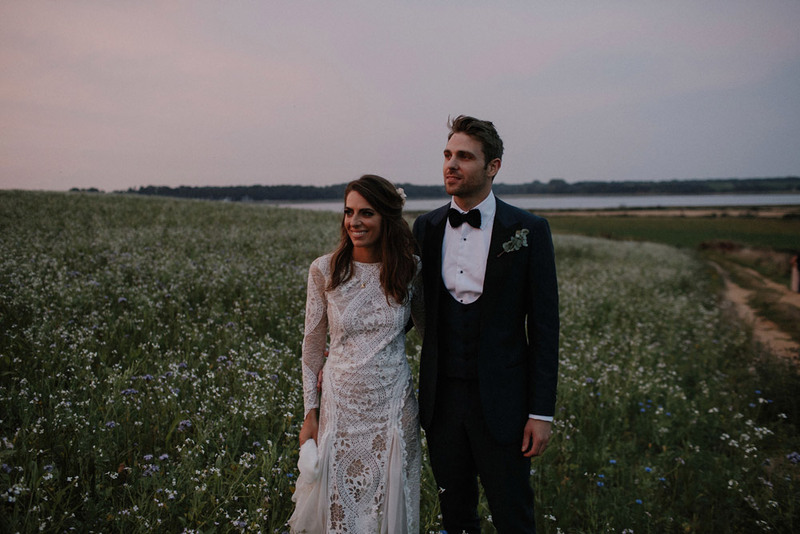 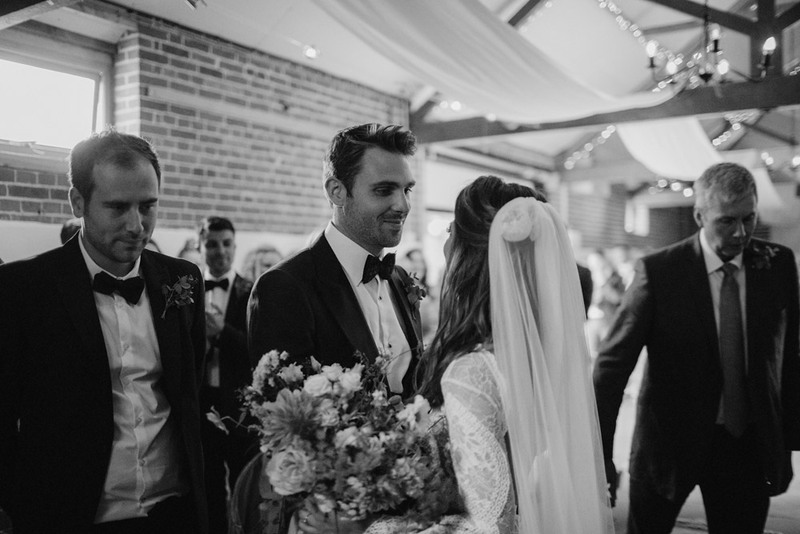 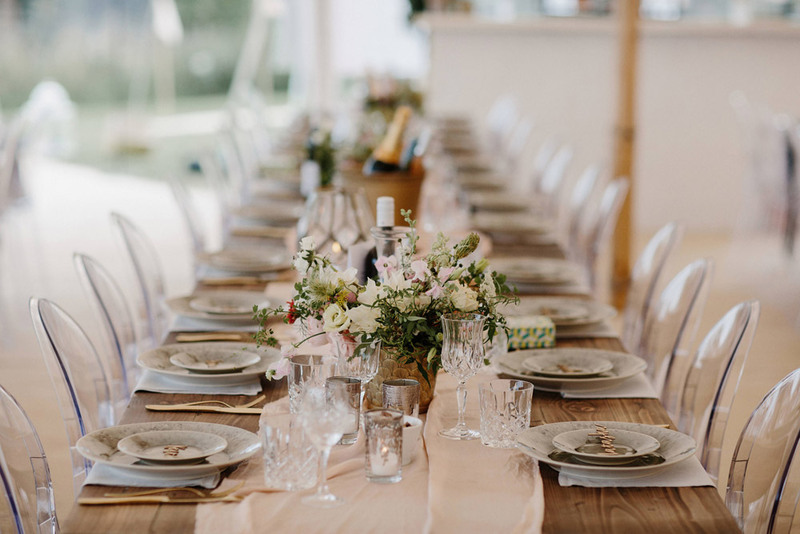 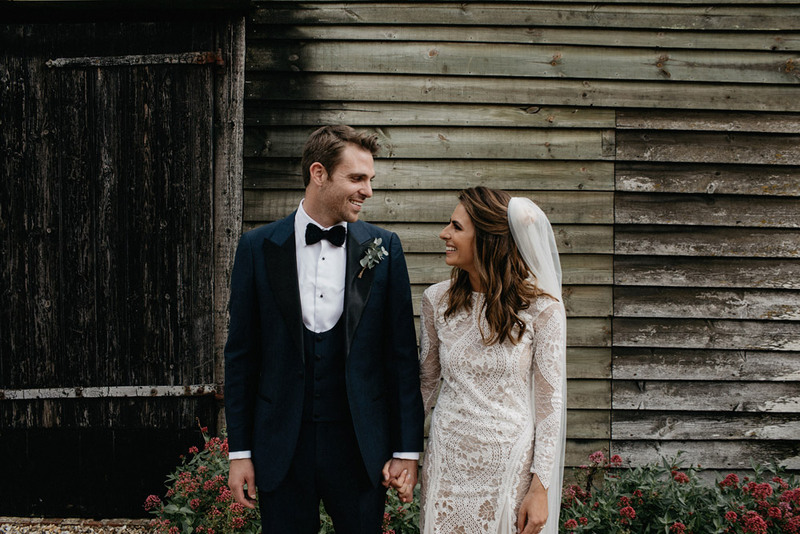 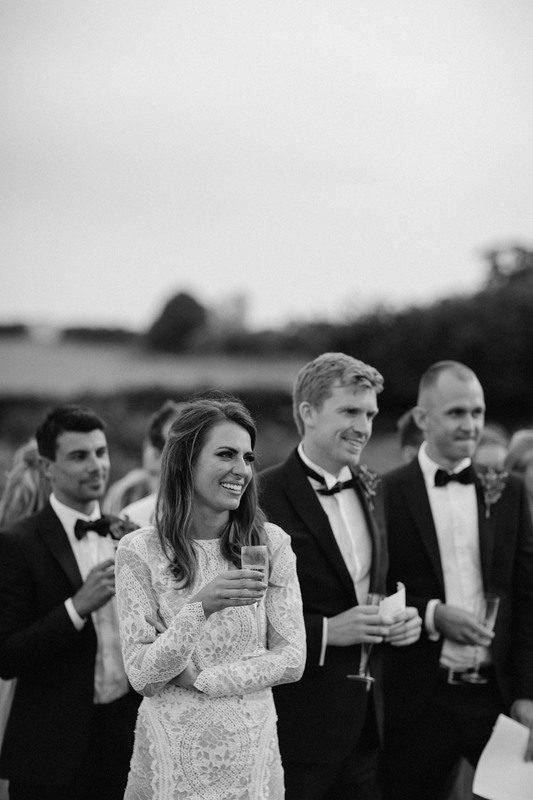 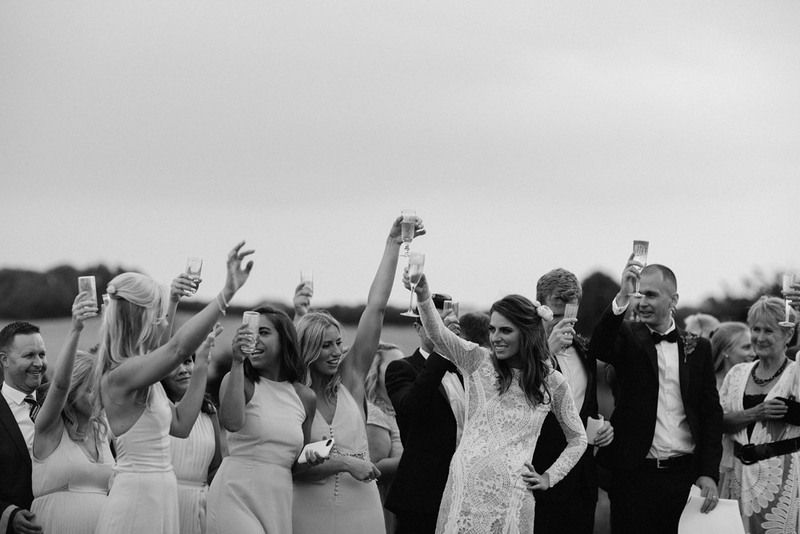 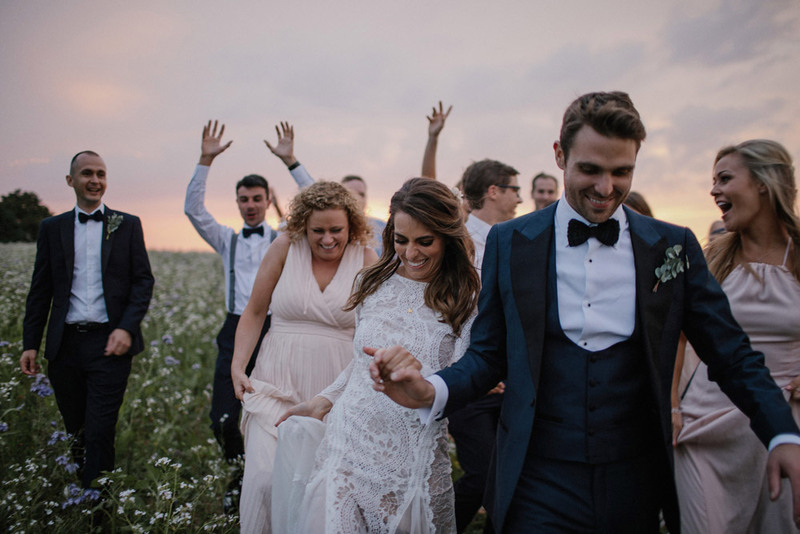 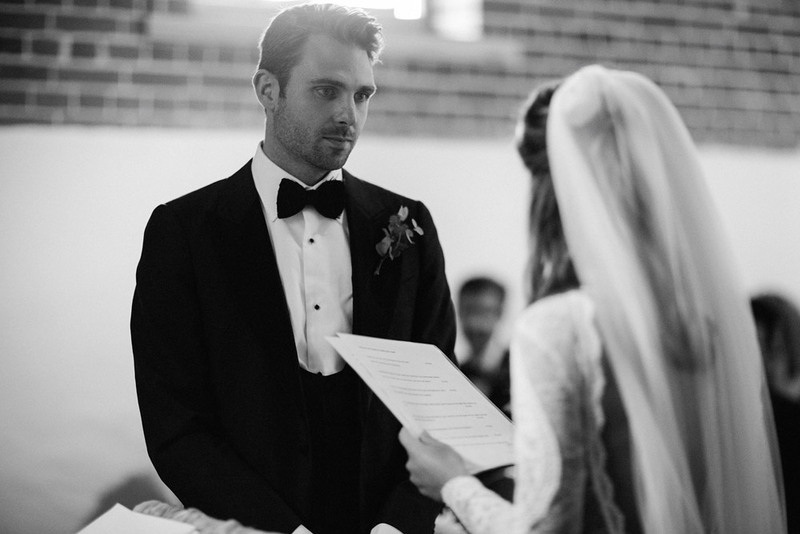 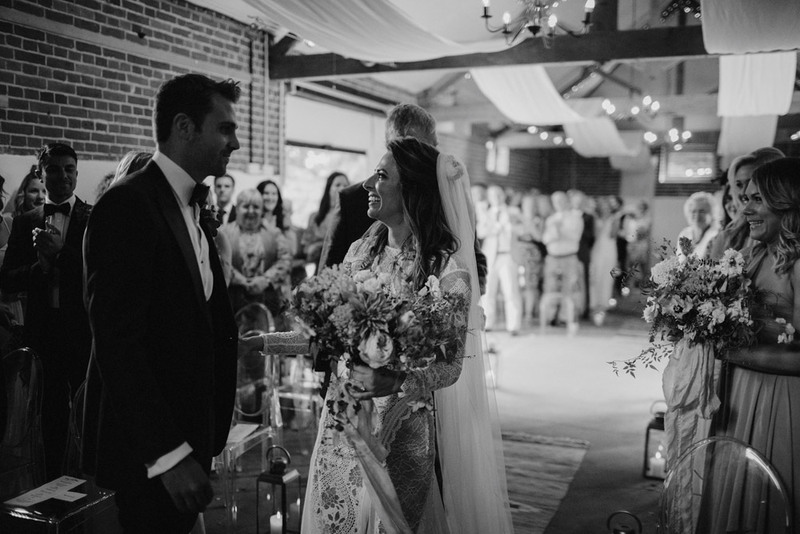 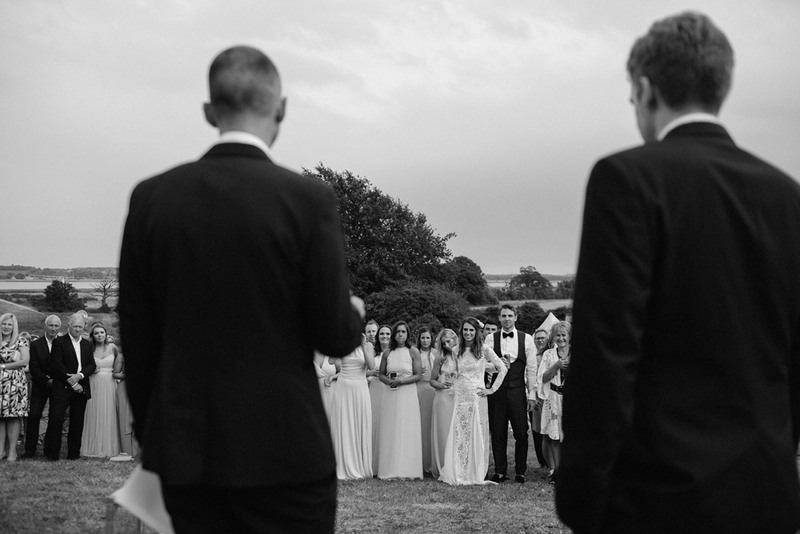 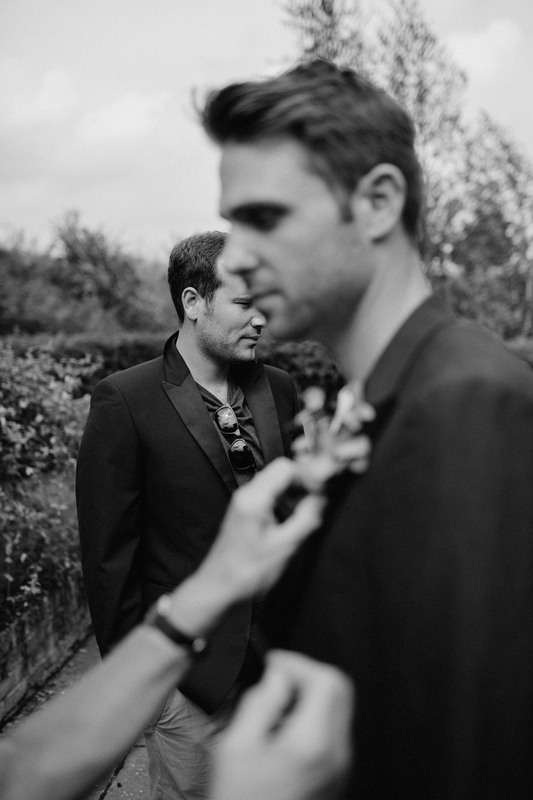 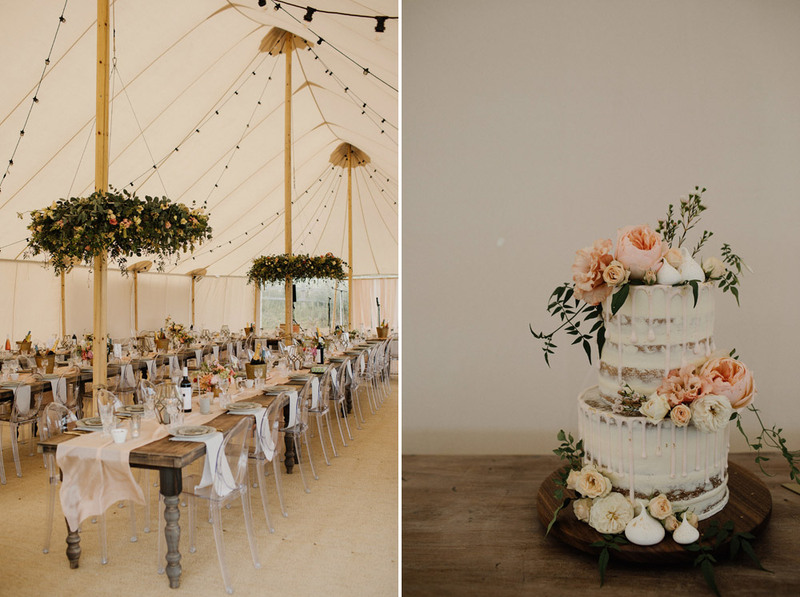 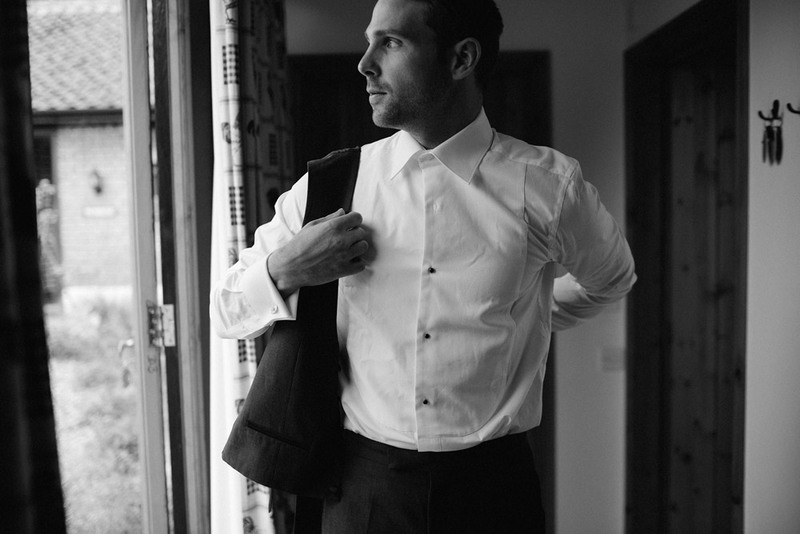 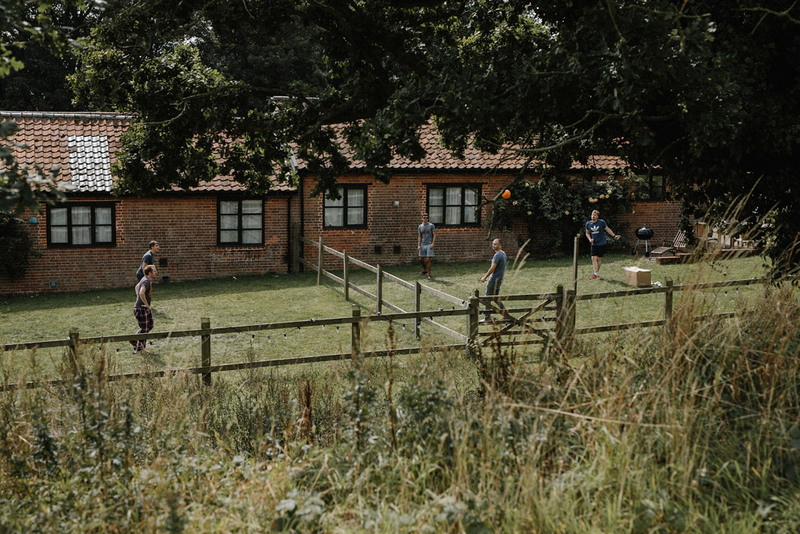 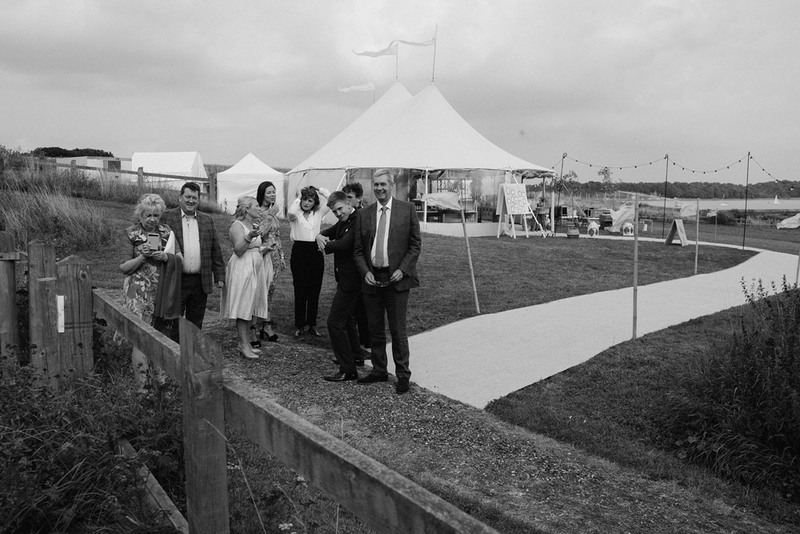 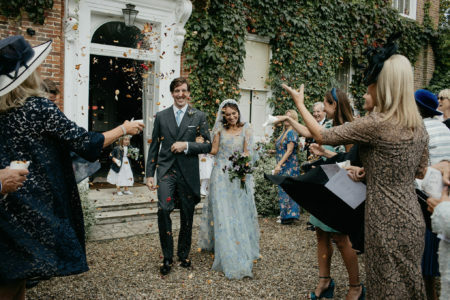 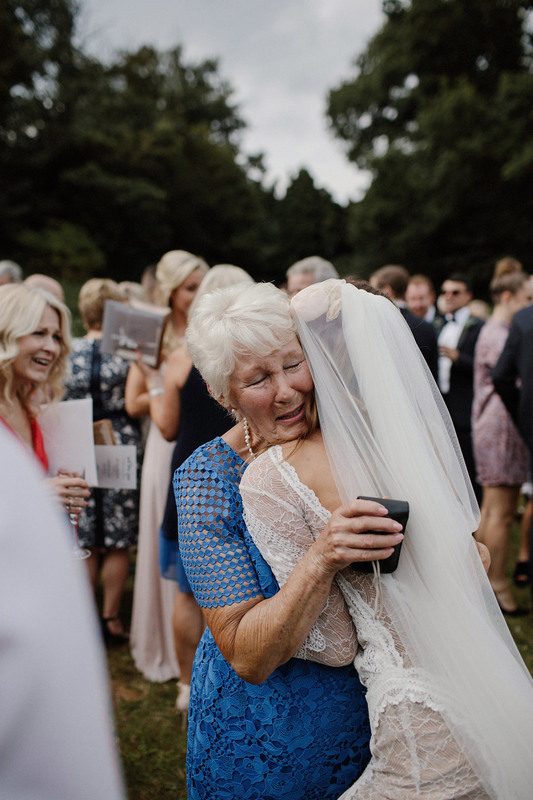 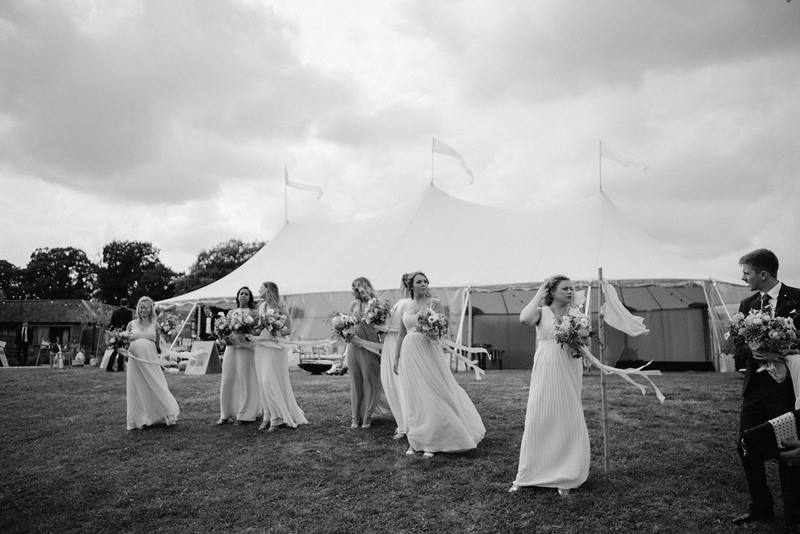 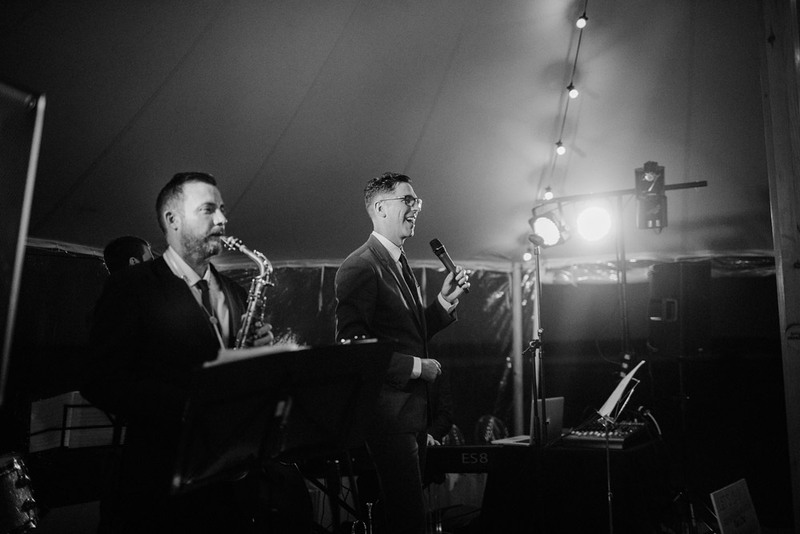 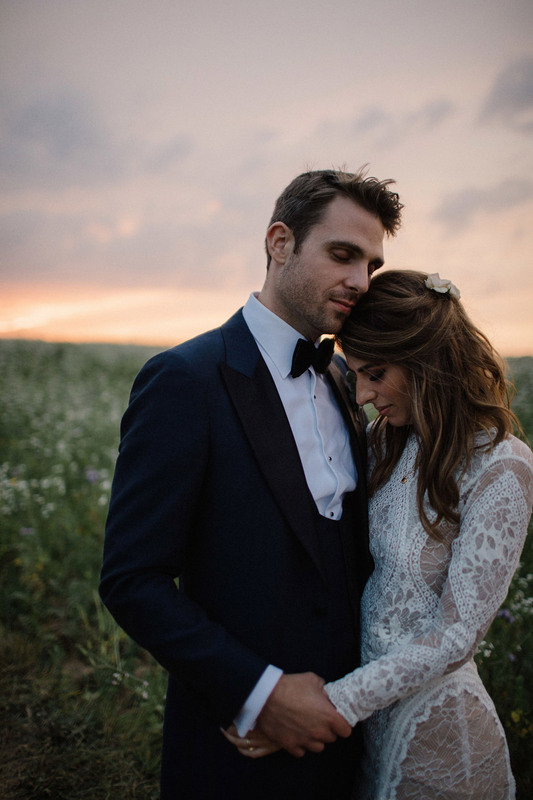 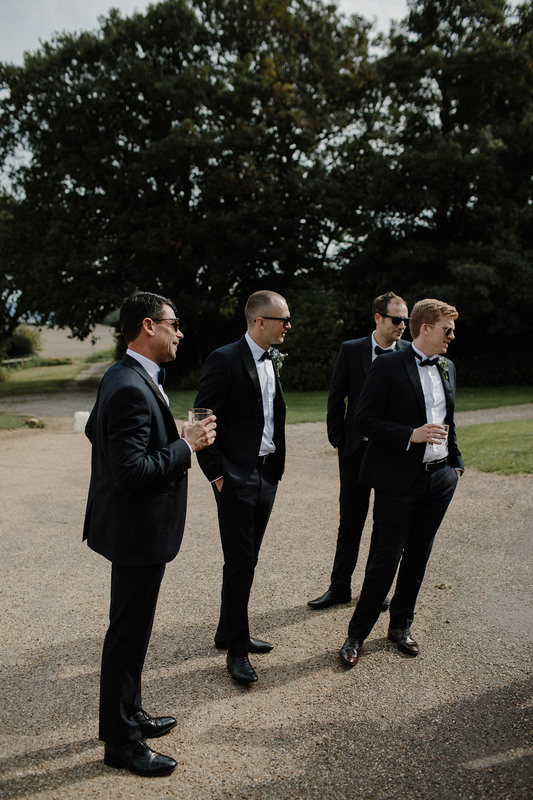 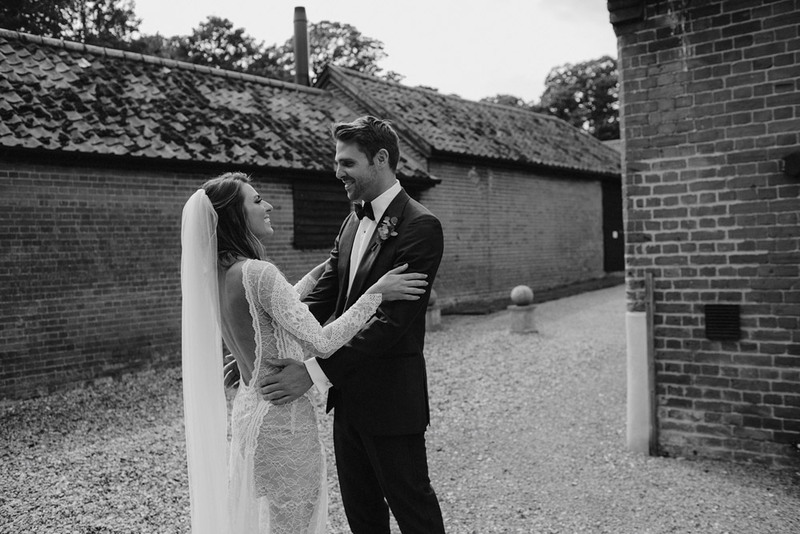 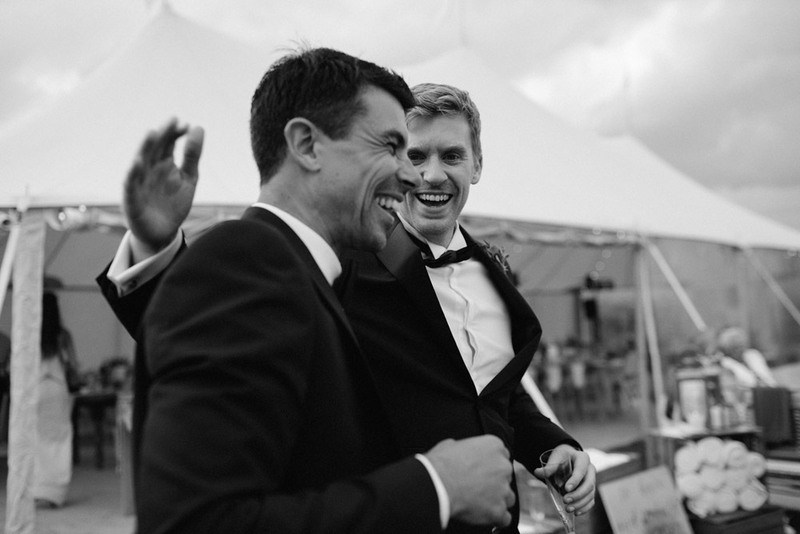 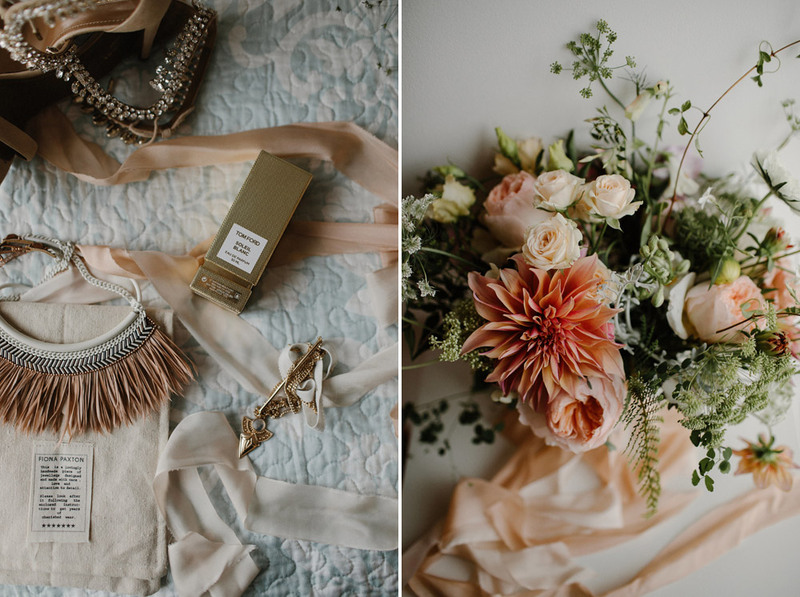 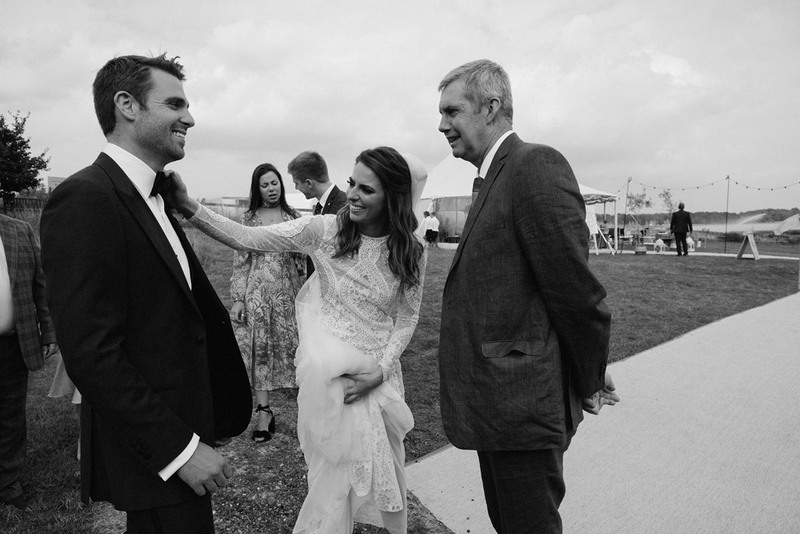 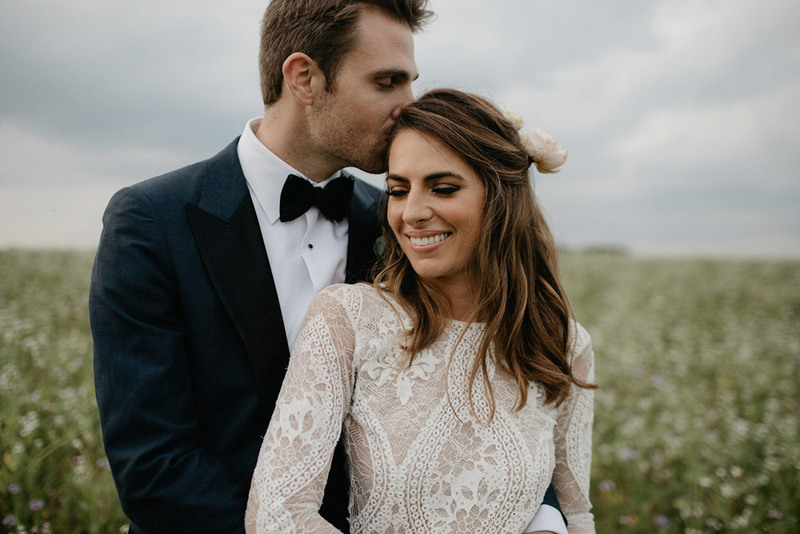 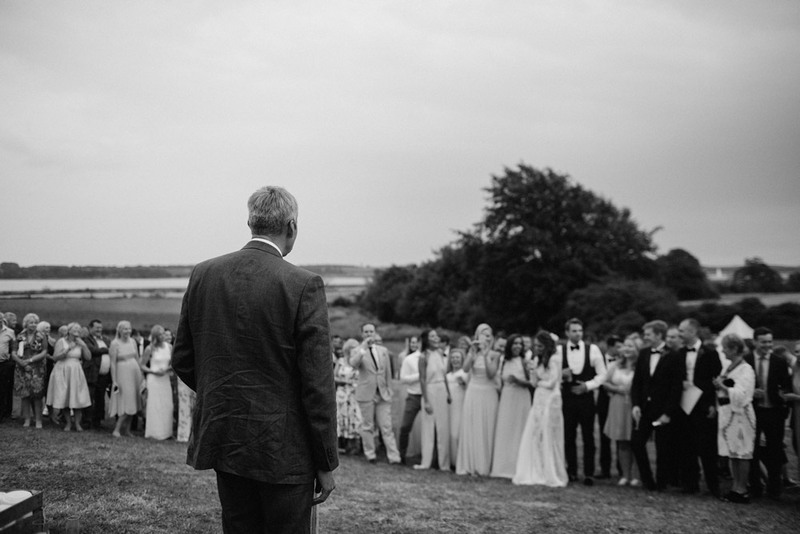 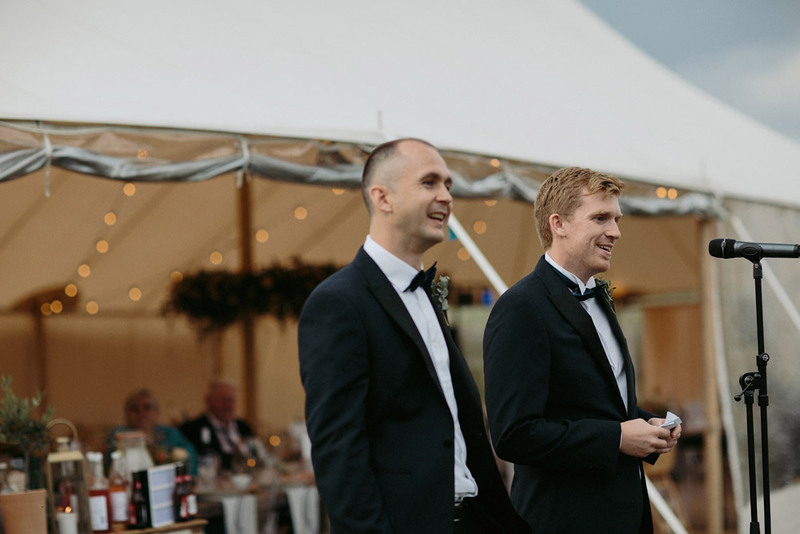 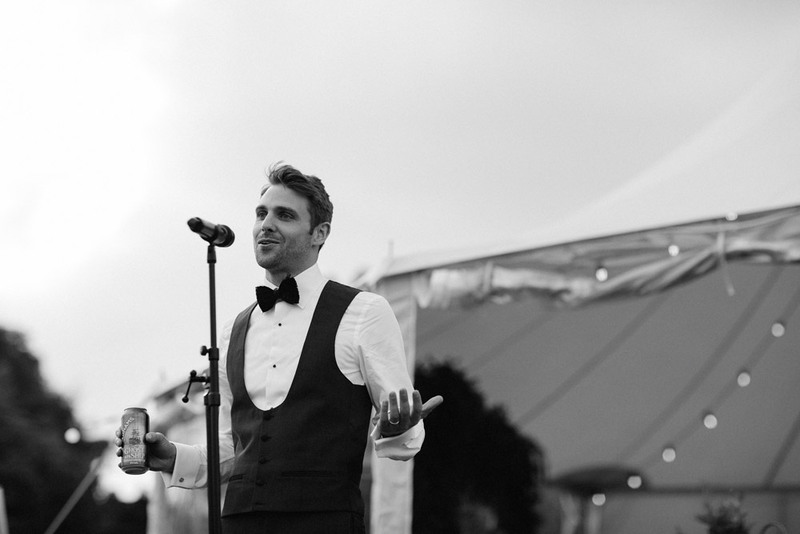 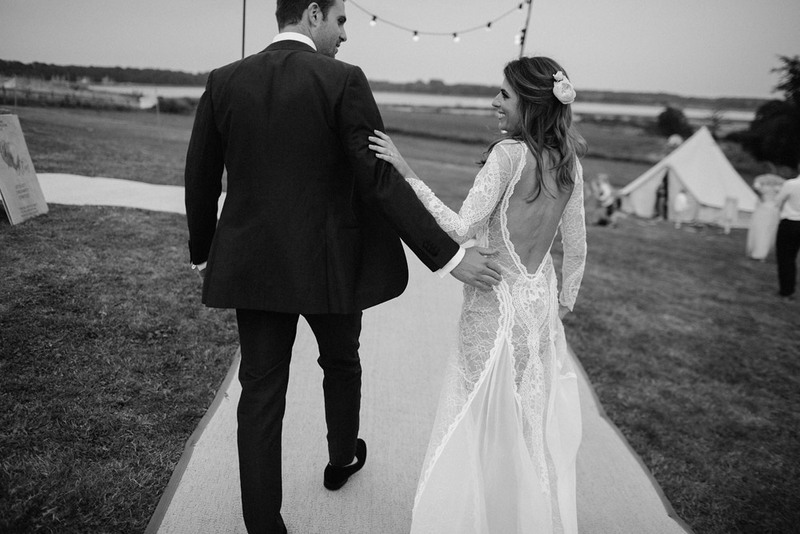 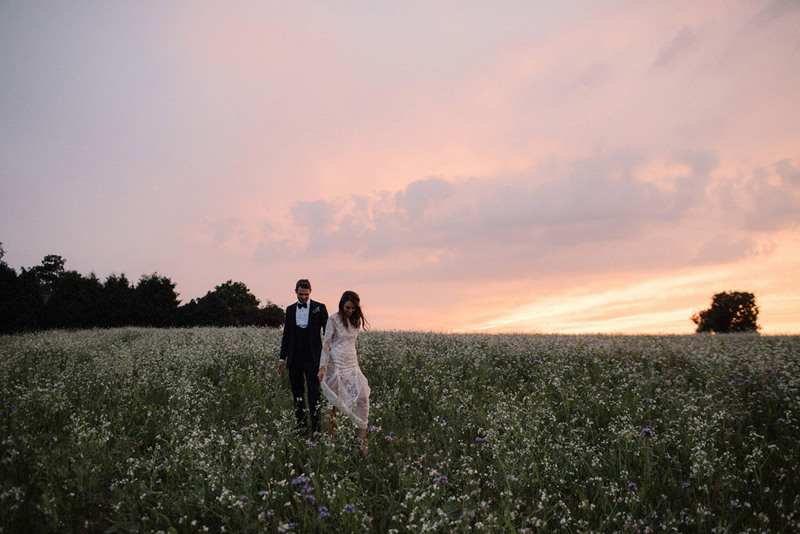 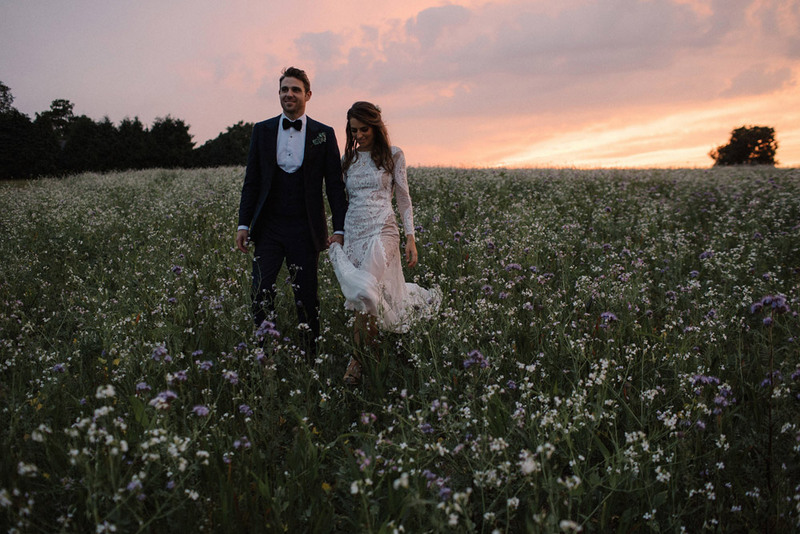 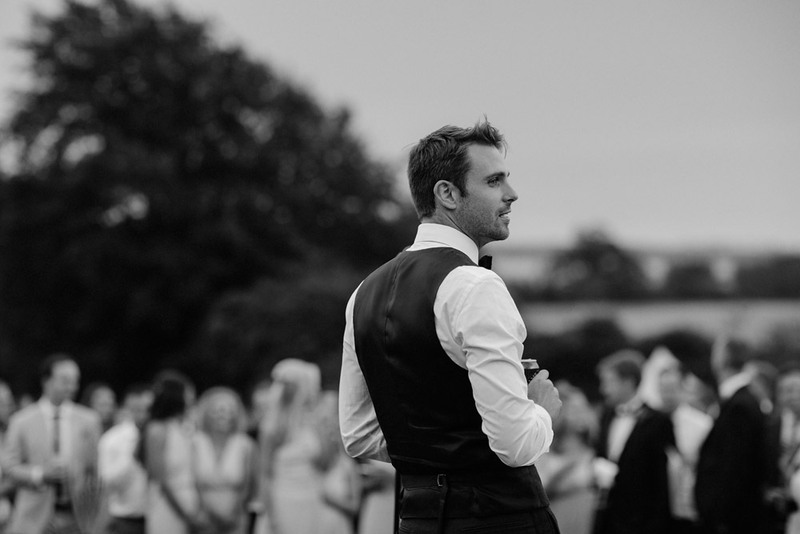 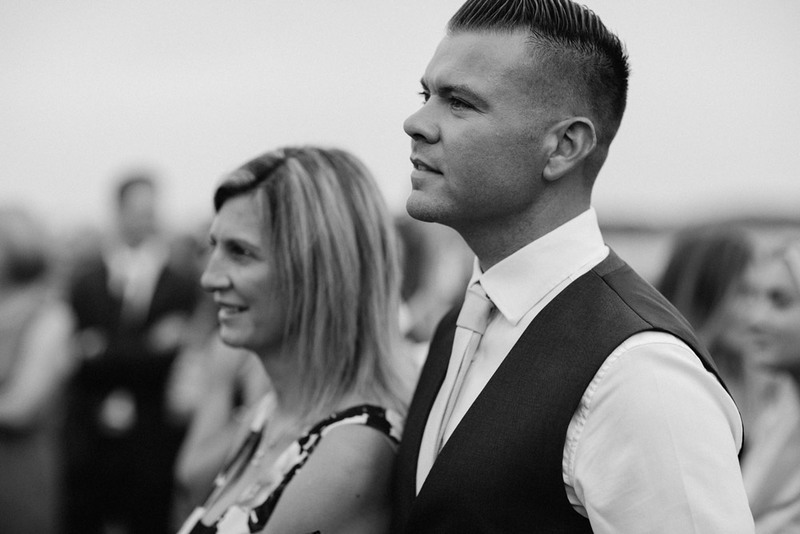 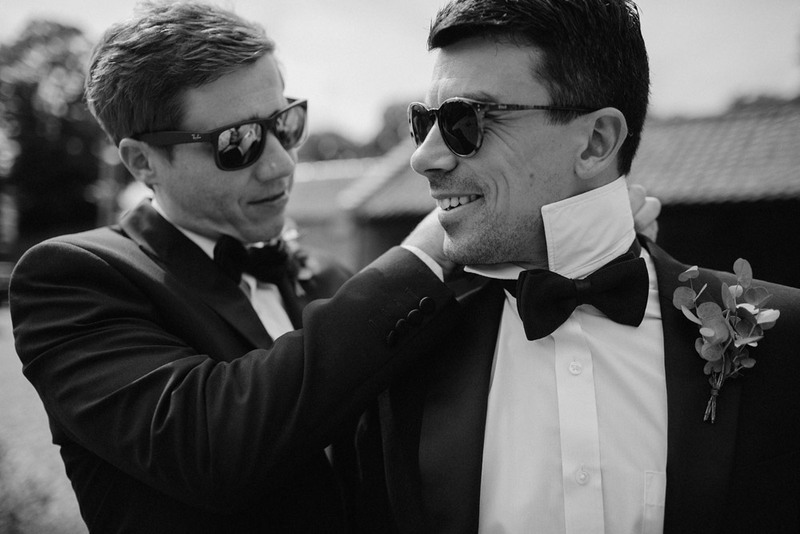 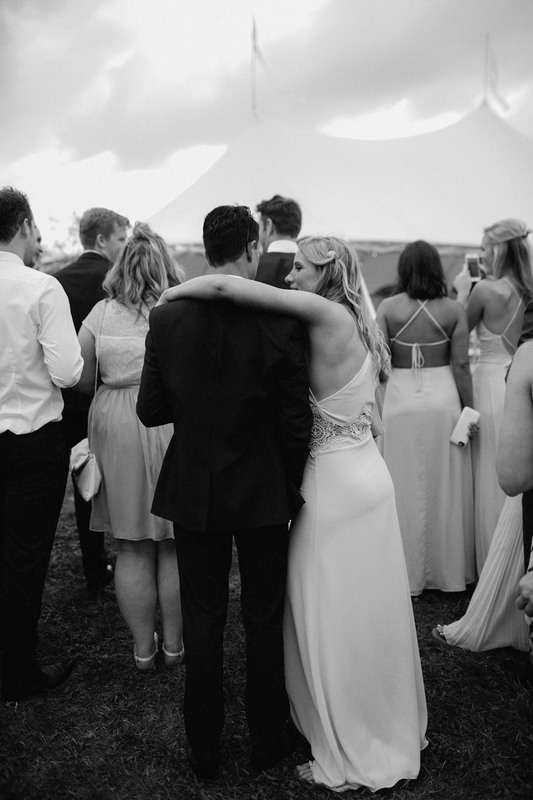 Here are some frames from this modern boho wedding in Suffolk.